GIFFT wines are a partnership between Kathie Lee Gifford and Scheid Family Wines of Monterey, California. The Gifft name derives from Kathie Lee Gifford’s last name and her belief that friendship, love and laughter are gifts to be cherished. The classically-styled package depicts Kathie Lee’s favorite place to enjoy wine with friends – her garden gazebo at her home – and features a consumer-friendly screwcap closure. From the outset of the partnership between Kathie Lee Gifford and Scheid Family Wines, the partners’ goals were completely aligned: to craft authentic, high quality wines at an affordable price. Their sincere wish is that you enjoy GIFFT wines at your table with family and friends and enjoy the laughter, warmth and conviviality that ensues when we slow down and savor our blessings. 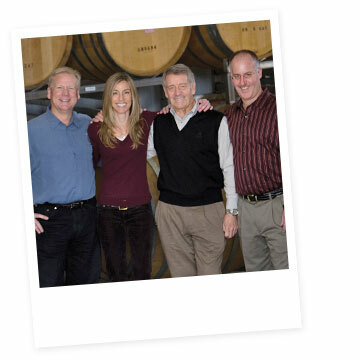 Founded in 1972, Scheid Family Wines is a family-owned company that produces wines to showcase the varietal character of the grapes, the individuality of the vineyard, and the exceptional quality of the Monterey Viticultural Appellation. With eleven estate vineyards located along a 70-mile spread of the Salinas Valley, Scheid Family Wines is committed to crafting estate grown wines that express the highest quality of each varietal. A dedication to environmental stewardship, adhering to sustainable farming practices, and giving back to the community through real, meaningful programs is an integral part of the Scheid Family Wines philosophy.